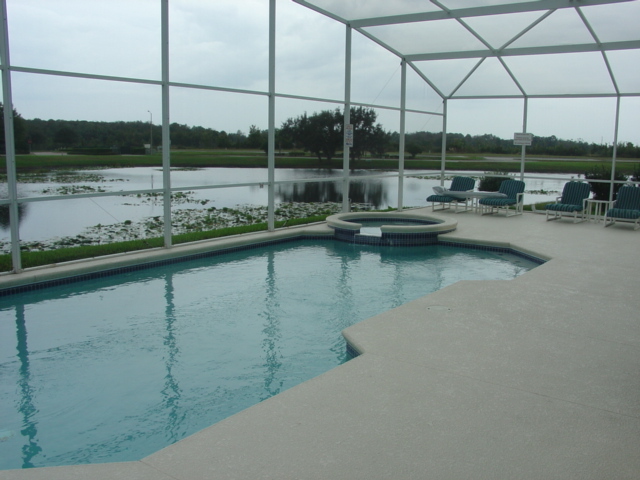 Welcome to our luxurious 4 Bed 3 Bath Floridian Villa. Our Villa is fully air conditioned and has a private heated pool. The peaceful Bridgwater community is less than 15 minutes from Disney World. Local shops, restaurants and golf courses are just minutes away. Our luxury home sleeps up to 10 guests. Two master bedrooms each have closets and en-suite bathrooms. Bedrooms 3 and 4 have storage closets and share an adjoining bathroom. 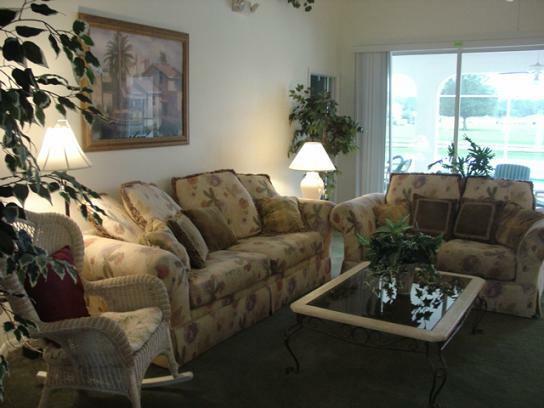 A comfortable living and dining area provides plenty of room for eating or relaxing. The living area has colour cable TV, a VCR, DVD player, CD player/radio and two sofas, one of which converts into a queen size bed. The fully equipped kitchen has all that is necessary for those who enjoy cooking or just wish to self cater. There is a full size oven and hob, microwave, fridge freezer, coffee maker, toaster, in fact everything you need including a kettle and tea pot. Adjoining laundry and ironing facilities are provided should you need them. Access to the pool is via alarmed patio doors for the safety of children. The fully screened pool area has comfortable sun loungers, a table and chairs for al-fresco dining. The pool can be heated if required. A covered lanai provides shade for those who have seen too much sun. Both pool and lanai can be illuminated at night for a refreshing swim after a busy day. Pool heating was not working from the first day. After several intervention from our side we still did not had a warm pool for the hole week. The management is not willing to solve this issue properly (there offer was a fifth of the payed fee). We are planing to spend our future holidays in winter in Florida, but not with this company anymore. Poolheizung arbeitete vom ersten Tag weg nicht. Von der Geschäftsleitung ist niemand bereit, hier eine adequate Lösung beizusteuern. Bisher wurde uns ein fünftel des Betrages offeriert. Schade, da wir unsere Winterferien in Zukunft öffters so in Florida verbringen möchten. Aber sicher nicht mehr bei dieser Firma. Thank you for the testimonial, after talking to the house managers they explained that the heat was not on for 1 day. So they offered to refund the pool heat for that 1 of the 5 days the trip was going to last. Vielen Dank fuer Ihre Bewertung. Wir haben uns natuerlich gleich nach der Abreise mit der Hausverwaltung in Verbindung gesetzt, diese hat von einem eintaegigem Ausfall berichtet und sich bereit erklaert den bezahlten Betrag eben fuer diesen Tag zu ersetzen.